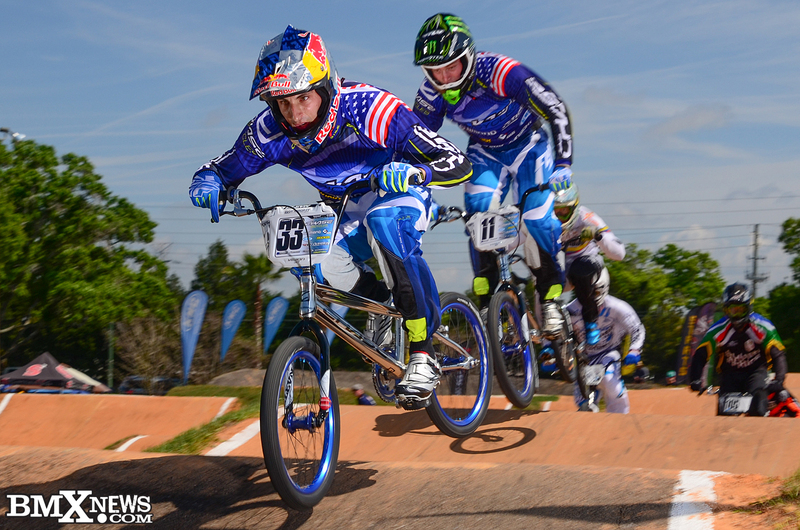 Round #2 of the 2014 USA BMX Pro National Tour took place at one of the best tracks in the USA, Oldsmar BMX. The beautifully sculpted track was only outdone by the perfect Florida weather that welcomed the 70 plus Elite Pro riders to the Sunshine State. This was the first race weekend of the 2014 season for the Chase Bicycles Factory team of Connor Fields and Joris Daudet. Premiering the new new team Fly racing uniforms, the Pro team, along with the Dale Holmes Racing squad and the Pro Support team riders of Jamie Staff, Sifiso Nhlapo, and Renato Rezende, all greeted the BMX fans with not only stellar racing on the track, but the Chase team pit/display area was a buzz all weekend. The fans were excited, getting to meet the riders as well as check out the 2 lines of complete bikes from Chase and the Factory equipped team RSP 2.0 Frames built up with some of the best parts in BMX from Elevn, Shimano, Excess, Tioga, ODI, Stealth, KMC, Kingstar, and Excess. Connor Fields has been one of the most consistent pros in the world over the past few seasons and he started things off on the podium once again at Oldsmar. 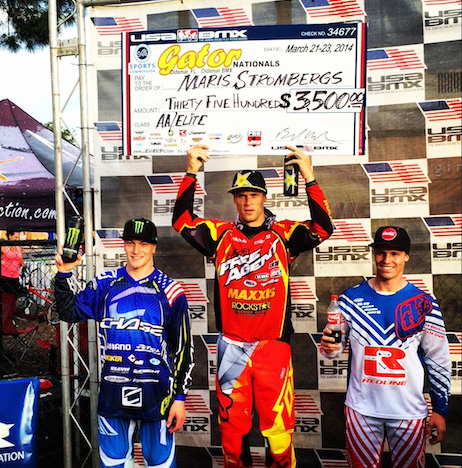 On Saturday, Connor had a standout day, as he rode in the front of each race on his way to the Elite Mens Pro main event. After a grueling day of racing the motos, 1/8, 1/4, and semi finals, against the worlds fastest Pro racers, Connor lined up for the main event and when the gate dropped, he was once again up front, battling it out for the win. This time, Connor would have to settle for 3rd for the day, but to be on the podium at this event was a huge accomplishment and a great way to kick off the season. Joris Daudet made his debut on the Chase Factory team a memorable one, as he made his way into the Elite Mens final both days. On Saturday, the racing was stacked as the gate dropped and the racers spun in out down towards the first turn. Joris would slice his way through the pack and come out safe but bottled up, forging his was to a 6th for the day. On Sunday, rode consistent in the top 3 all day, once again making it to the final, but this time, a bad start kept him near the back of the main event, and he would finish up 8th overall. Look for Connor Fields will be lined up on the gate next weekend at the USA Cycling National Championships in Chula Vista, CA on March 29th. 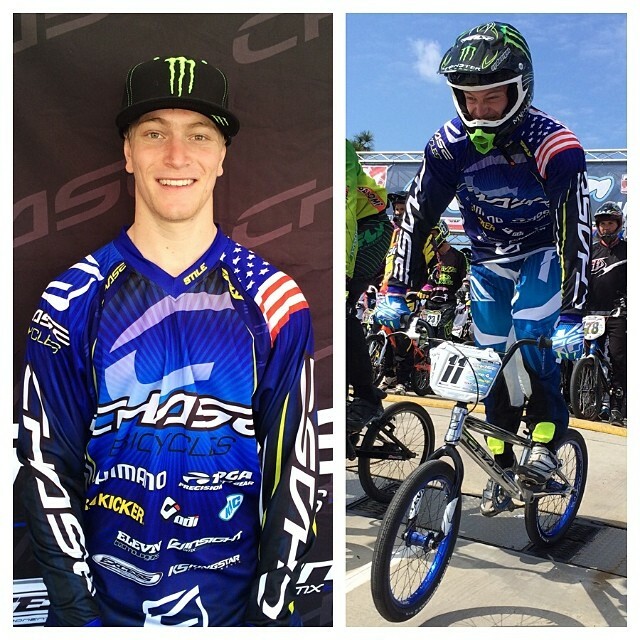 The Chase Factory Pro Team to head off to stop #3 of the USA BMX Pro tour in 2 weeks on April 4th, in Desoto, TX. 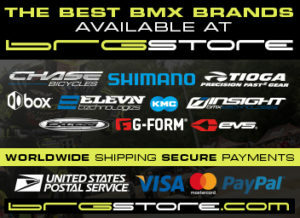 The Chase BMX Factory Team is proudly sponsored by Shimano, Tioga, Fly Racing, ODI, Kicker Audio, KMC, Elevn, Excess, Insight, Kingstar, Stealth, and the newest sponsor of the team, G-Form. Chase BMX offers some of the worlds best BMX race frames, the RSP Series, as well as 2 lines of complete bikes, the Chase Element and Chase Edge. Visit ww.ChaseBicycles.com for more info on the line of frames and bikes. 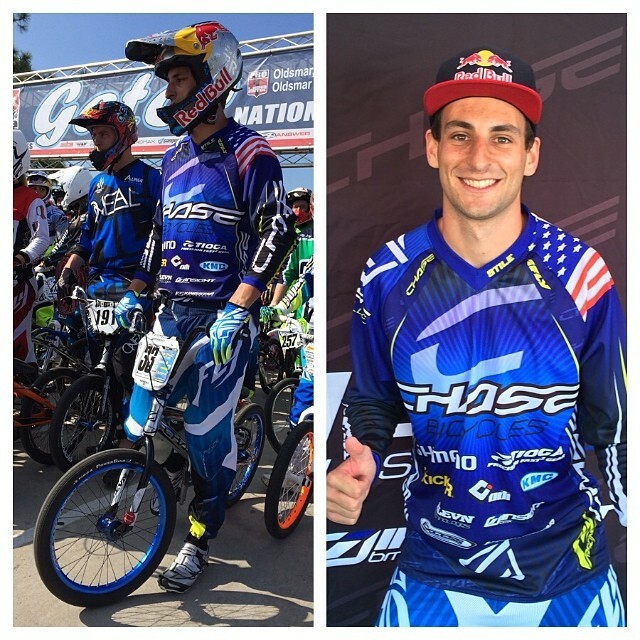 Chase BMX is a division of the BMX Racing Group along with Elevn, Excess, Insight, and Kingstar. The BMX Racing Group delivers a full range of BMX Racing products, highlighted by the Chase BMX Brand. Other brands of BRG: Elevn Racing, Excess, Insight, and Kingstar. Founded by legendary BMX Pro racer Christophe Leveque and Industry leader Pete Dylewski, BRG has delivered some of the best BMX products for racers over the past 3 years and supports BMX racing on all levels.